Courtesy of Coldwell Banker Res. Brokerage, Farryl Moore. 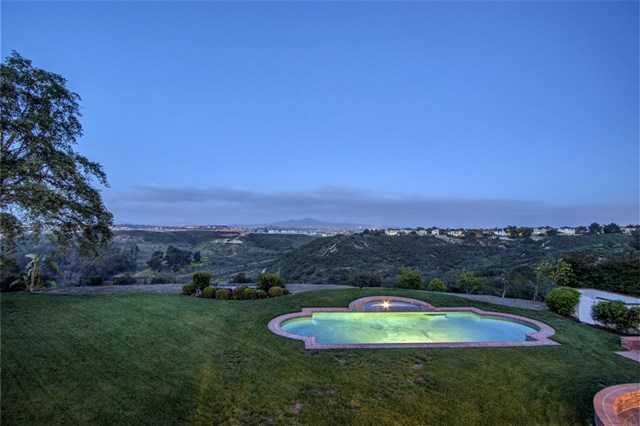 One of the best lots in Carmel Valley, located in a quiet cul-de-sac with an enormous backyard & panoramic view toward Rancho Santa Fe and snow-capped mountains in the Winter! This Santa Fe Summit plan 4 is extremely unique due to the large usable lot, privacy & expansive unobstructed canyon views. This home has excellent curb appeal and sellers recently upgraded HVAC System & pool equipment. Contemporary light fixtures and canned lighting on dimmers throughout. Don’t want to miss seeing this home.